Although there was a rare named tropical storm in April this year, that doesn’t change the date of the official beginning of the 2017 Hurricane Season. That remains June 1, as always. Just because a system blooms into an actual Tropical Storm or Hurricane earlier in the year, it doesn’t change the start of the season. But, it does give us a slightly unusual start for 2017. Will any names make history this year, like Katrina, Sandy, and Matathew did in recent years? What are the names for this year, and how were they chosen? The list is ready, and has been for years. You’ll find it here. When a low pressure system strengthens to Tropical Storm status, it is named. Some of those named storms get even stronger and turn into hurricanes. How many of those will turn into hurricanes? I follow several prominent hurricane forecasting organizations. They all make hurricane season predictions about how active they think the tropics will be in the coming months. What are they saying? I've made a handy chart to show the forecast numbers from Colorado State University, Tropical Storm Risk, Weather Services International (The Weather Channel), Global Weather Oscillations, and, of course, the National Hurricane Center. How accurate are these preseason forecasts? Read on to find out. When is the Atlantic Hurricane Season? The official dates of the Atlantic Basin Hurricane Season are June 1 through November 30. The peak, or most busiest, part of the season is usually from about the second week of August through late October. The Atlantic Hurricane Basin includes the Atlantic Ocean north of the equator, the Caribbean Sea, and the Gulf of Mexico. Hurricane Franklin made landfall about 1:00 am near the town of Lechuguillas, in the Mexican State of Veracruz, with sustained winds of 85 mph. The system will be moving across Mexico today. Rainfall of some 4 to 8 inches are possible in affected areas, with some isolated amounts of over a foot. Flash floods and mudslides will continue to be a danger as the storm moves towards the Mexican Pacific coast throughout the day today. By morning, Franklin had already weakened to a Tropical Storm, and is expected to degenerate into a Depression later today. However, even a Tropical Depression can pose serious water related dangers. Please refer to the NHC or your local weather bureau for official news. 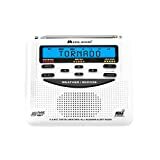 Every U.S. home in any area where any type of severe weather can be a threat should consider a NOAA Weather Radio an essential.. It does things ordinary radios just can't, and it could help to save your life. Wondering if the tropics will be in the news a lot this year? The experts have read their crystal balls, and some of them seem to think so! OK - maybe they don't really read a crystal ball. A whole lot actually goes into these hurricane season forecasts. As a group, most of the forecasters are saying this year will be right around average. An average season, over the last 30 years, we have seen 12 named storms, with 6 of those becoming hurricanes, and 2 - 3 making it to Major Hurricane strength. Only one of the forecast organizations that I follow - GWO - is forecasting an above average season, and they are predicting a real doosie! *A tropical cyclone is any system that is borne over tropical waters (or even sub tropical ones), and exhibits a closed low level circulation. Tropical depressions, tropical storms, and hurricanes are all tropical cyclones. The long range forecasts for this year have been made by Tropical Storm Risk, Global Weather Oscillations, WSI (a division of The Weather Company, and affiliate of the Weather Channel on TV), Colorado State University, and or course, NOAA / NHC (National Hurricane Center). Here’s a handy chart showing what each of those organizations has predicted. The three columns show forecasts for total number of Named Storms, how many of those will become Hurricanes and which hurricanes will intensify into Major Hurricanes. For comparison, the first line shows an average over the last 30 years in each of those categories. Where Might a Big Storm Hit? We already know that some forecasters are predicting a season that is more active that average. Maybe it will be, and maybe not, but WHERE might this year’s storms make landfall? Really, no one knows for sure. But, the good Dr. Philip Klotzbach, at CSU's Tropical Meteorological Project, is bold enough to assign some numerical probabilities to certain broad regions. So is David Dilley, of Global Weather Oscillations. Here's what the two of them have to say about 2017. 6 Landfalling named storms for the United States, 3 of which will be Hurricanes. He further says that 1 or 2 of the hurricanes to make landfall could be strong, or major hurricanes of category 3 or higher. I'll update the listing as new tropical cyclones are officially named. Is your name on the list of Atlantic Basin Hurricane Names for 2017? If so, you might have a tropical storm or hurricane named after you this year! Might They Name a Storm After You This Year? Do You See Yourself on the List? How are Hurricane Names Chosen? Although most of us think of the names used to designate tropical weather systems as ‘the Hurricane Names,’ that’s inaccurate. A storm gets named when it reaches tropical storm strength. (Sustained winds of 39 mph or greater) Not all tropical weather systems turn into hurricanes. However, most people still refer to the names on the list as "hurricane names." The names for this year, and even the next five years, have long since been chosen. There are six established lists that are used in rotation year after year. Each alphabetical list has 21 names on it, alternating between male and female. This year’s list begins with a masculine name. Next year, a feminine one will be up first. 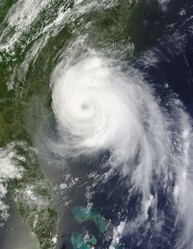 Incredibly, Hurricane Zeta was named on December 31, 2005, and dissipated on January 7, making it only the second named system in recorded history to span two calendar years! Here are a few things you might like to know about the naming and naming conventions that are used for tropical weather systems. The World Meteorological Organization is in charge of the lists. The lists were first established in 1953, with all feminine monikers. Naming alternate storms after men was introduced in 1979. Some Names Get Retired. If a storm is particularly devastating, the name could be taken out of service, out of respect for those affected. For example, Katrina was retired after the 2005 season. The letters Q, U, X, Y, and Z are not used at all, for obvious reasons. This year’s list was last used in 2009. There were no retirements after the last use, so it stays exactly the same as it was then. These same names will be used again in 2021, unless there are retirements. In that case, the replacement names will be of the same gender and begin with the same letter as those being replaced. What If They Run Out of Names? There are exactly 21 storm names on each of the six lists used for yearly tropical storm names. What happens if more than 21 tropical systems get strong enough to get named? Do they 'borrow' names from next year's list? They won't do that, either. Do they just let the guy on duty at the time pick name #22? Of course not. The 22nd named storm will be named ALPHA, the first letter of the Greek alphabet. Any subsequent storms that season will be named for other letters of the Greek Alphabet, in order. Yes, once - just one single time - in the last 60 years. The 2005 hurricane season, had a record-breaking 27 named storms! This page is not an official weather site. I am a long time coastal resident with a keen interest in tropical weather, not a professional meteorologist.. I have simply made it my business to learn as much as I can, season by season. I have always been happy to share some of the things I have learned through decades of exposure to the threat of hurricane strikes. I am still learning and still sharing. Hurricane Alex formed in the month of January. The last time that happened was 1938. Hurricane Matthew was the first Cat 5 storm since Felix in 2007. He was costly and deadly, causing over $15 Billion in damages, and killing 603 people. The public continued to underestimate the potential danger when it's "only a tropical storm." 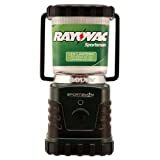 Hundreds of thousands suffered through power outages during and after these storms. In addition to the widespread damage to structures from flooding, nine people lost their lives to tropical storms in 2016. October saw the first time since 1964 that two hurricanes of category 2 or stronger were spinning in the Western Atlantic at the same time. Those two were Matthew and Nicole. The final hurricane of the season, Otto, made a name for himself in two ways. 1) On November 23, he intensified into a hurricane in the Caribbean, the latest storm to do so there. 3) He also became the first system on 30 years to cross over from the Atlantic Basin to the Pacific Basin while maintaining named storm status. How Did the Experts Do in 2016? How accurate were last year's hurricane season forecasts? See for yourself! What follows is a chart showing the predictions of several of the big names in tropical meteorology, and the actual numbers for the 2015 season. Shown are the numbers each organization forecast for Named Storms (NS); Hurricanes (H); and Major Hurricanes (MH) of Category Three or stronger. These numbers are from are their last hurricane predictions before the season began. The first line shows what actually happened. Early storms might be a good thing. One thing these storms do is churn the waters, bringing up cooler water to the surface. This does not last but can help in the short time. Of course tropical storm Cindy came before hurricane Katrina, but was rather weak. Why did Katrina not cool the gulf and prevent Rita and Wilma? Well, Rita tracked farther south, and Wilma even farther south, so they did not weaken due to the churning. Their tracks did not interact enough. June 20, 2016: A record has already been tied this season. June is usually a fairly inactive month for tropical systems, but this year is different. 2016 marks only the fourth time in history that THREE named storms have formed in the month of June. The other years in which that happened were 1886, 1936, and 1968. All even numbered years.... hmmm. CruiseReady, It's interesting that retiring hurricane names and sports numbers are honors, for the casualties in the first case and the bearers in the second. Of course, one wants there to be more athletic retirements than weather, but it's still comforting for survivors to know that their loved ones are being remembered. In another direction, I always chuckle over the climatologist's and meteorologist's excuse that forecasts get more accurate the closer the data get to the event: so one hopes! I do, indeed, love it here! Lucky for you, those remnants don't make it over to you all that often. Then, you would have to worry about both summer and winter storms. I think the winter ones alone would do me in. We in Britain sometimes get the remnants of hurricanes. When we do their path is to come up through the Western approaches south of Ireland and come ashore in central southern England, then they track North East before decaying. In the North West of England where I am, we get the sides of the storm. I am more personally concerned about winter storms in the North Atlantic, which can badly hit Northern Britain. I can see why you love living near the sea, Cruiseready, for I have a friend who grew up in such an environment and now deeply misses it. My daughter lives near a sheltered stretch of the coast of Anglesey in North Wales and loves where she lives. I think it would be much harder to live far inland, away from the sea breeze and salt air! And I can't imagine living with the threat of tornadoes, which seem to be much more frequent, and give a lot less warning of their approach than a tropical storm. Interesting article. Like Pam, I learned a few things, and it was an enjoyable read, even though it talked about devastating storms and hurricanes. It must be really hard to live on coastal areas affected by such storms. Many thanks for the kind words. Yes, and they really had to use a lot of those 'extra' names in 2005. Here's hoping they never have to do THAT again. I also meant to say that this page is interesting and well done. I did not know how they named storms once they ran out of alphabet letters.